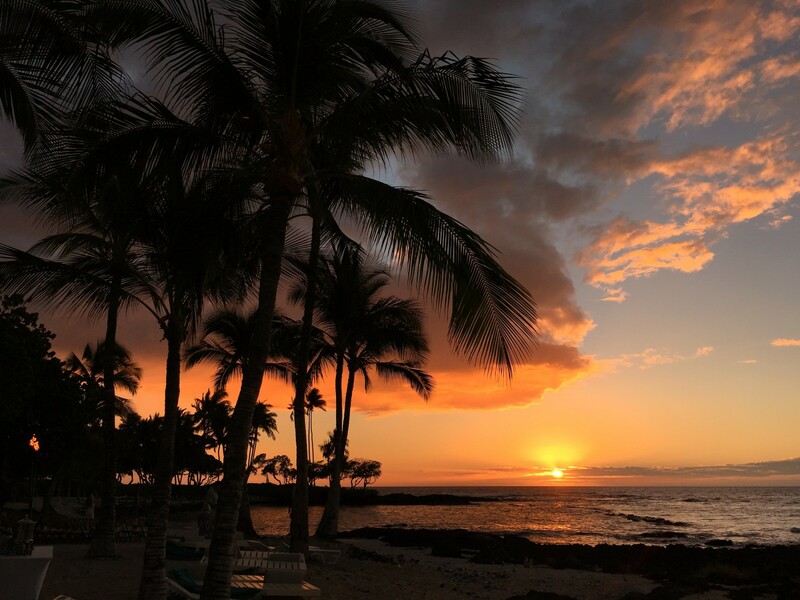 Gorgeous tropical sunsets are the stuff Hawaiian post cards are made of. 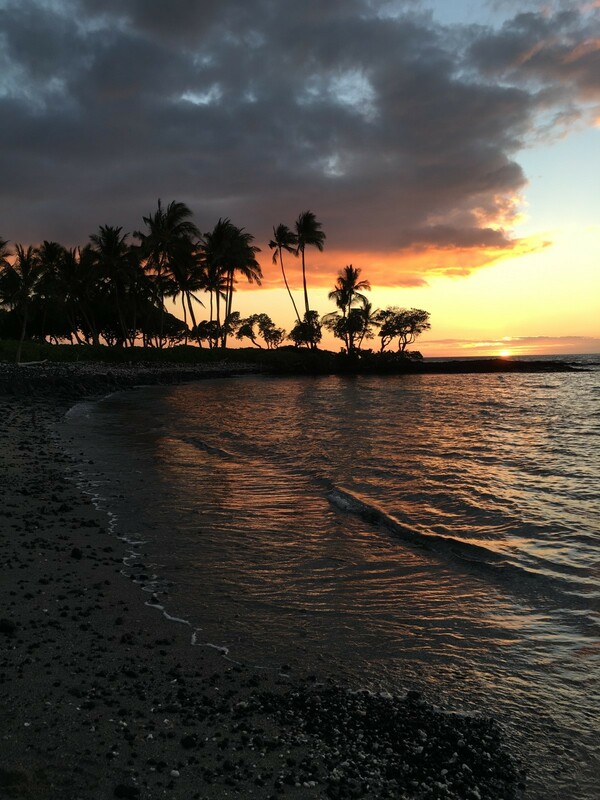 The Kona and Kohala Coast of the Big Island offer some spectacular spots to watch the sun dip below the horizon and enjoy the last rays of the day. 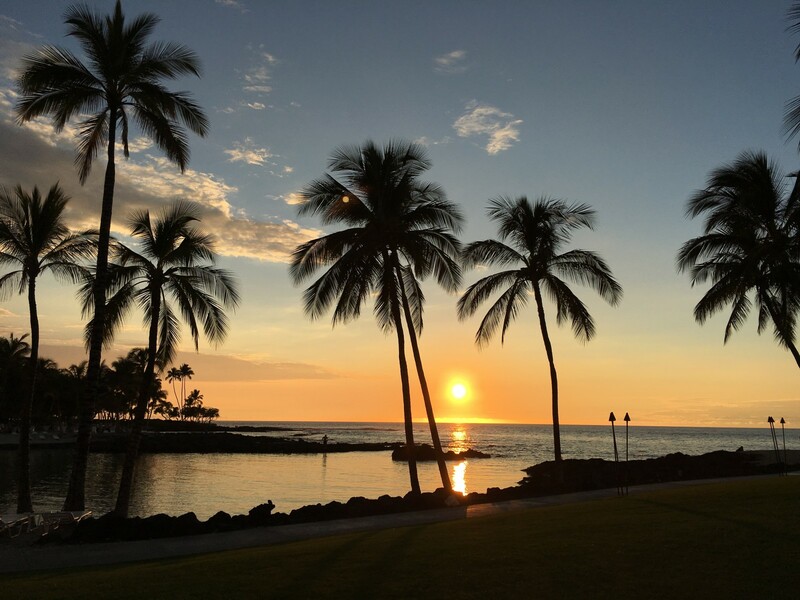 The lagoon at the Fairmont Orchid Hotel was my favorite sunset spot on my recent trip to the Aloha State. 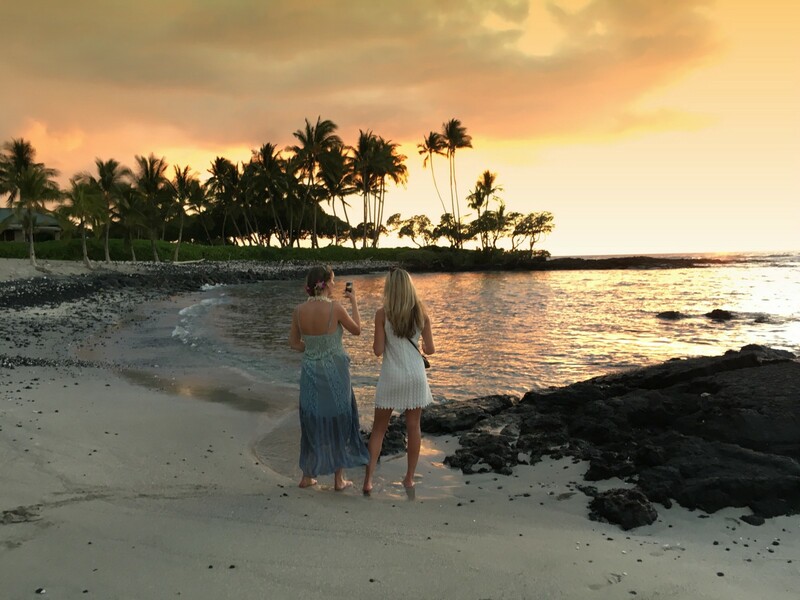 I shot the sunset time lapse above using the Time-Lapse function on my iPhone 6s on the lagoon beach at the Fairmont Orchid, which is a popular gathering spot around sunset. After sunset, the Fairmont Orchid hotel offers stargazing opportunities for guests a few nights a week, with giant telescopes set up right on the property and an on-site astronomer. The Fairmont Orchid’s Coconut Grove is a popular choice for destination weddings on the Big Island. The scenery is pretty spectacular.